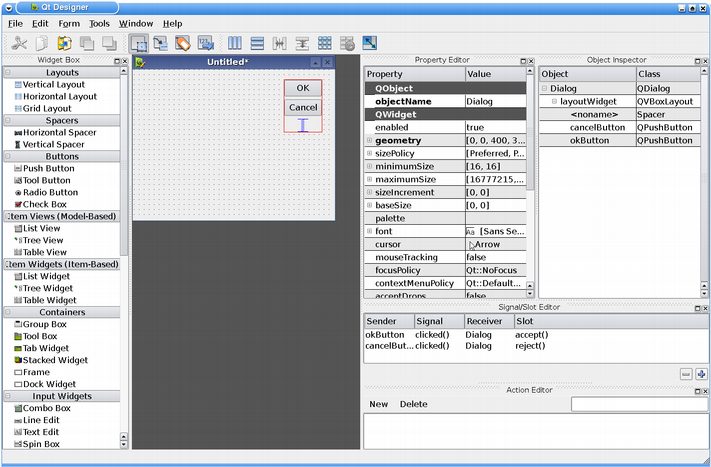 In addition, the QFormBuilder class provides the possibility of constructing user interfaces from .ui files at run-time. 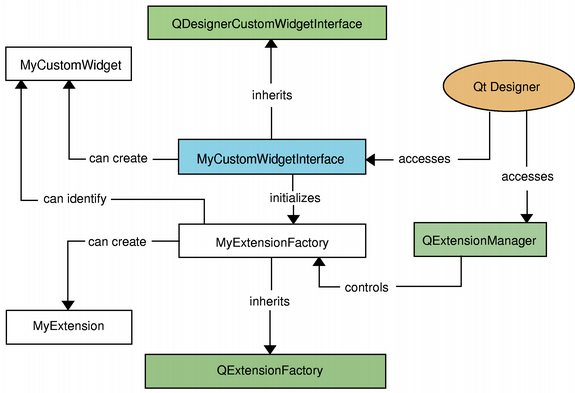 When implementing a custom widget plugin for Qt Designer, you must subclass QDesignerCustomWidgetInterface to expose your custom widget to Qt Designer. A single custom widget plugin is build as a separate library. If you want to include several custom widget plugins in the same library, you must in addition subclass QDesignerCustomWidgetCollectionInterface. The QtDesigner module contains the QFormBuilder class that provides a mechanism for dynamically creating user interfaces at run-time, based on .ui files created with Qt Designer. This class is typically used by custom components and applications that embed Qt Designer. Standalone applications that need to dynamically generate user interfaces at run-time use the QUiLoader class, found in the QtUiTools module. See also Qt Designer Manual and QtUiTools Module.